Growing up, “Kingfishers” represented a brand of beer more than it did a family of birds. I still know more people with alcohol issues than I do birders. I can’t recollect ever seeing one until after I got into birding. Not even the White-Throated Kingfisher – a shy yet widely-distributed residential bird in my city. The first time I photographed her was many miles away from home. It was a memorable incident but not just for the photograph . I was somewhere I shouldn’t have been. It was a part of a reserve forest that prohibited public entry. I ignored the signage because I had a seen a small blue bird fly past it. Also I was a self-centered ignoramus. I snooped around and managed to photograph the bird. A chilly minute later, a forest officer’s jeep made its way to me. A few officials had come over to check the water level in a nearby river. I got away scot-free because of my refusal to say anything else unrelated to birds. I didn’t realize then that I could have seen this bird in my own backyard. But it was no excuse. We should not visit any part of any reserve forest without proper clearance. Our ignorance about the ways of the wild will result in disturbing the harmony of the forest. Its inhabitants and protectors too. We might also get hurt because of our warped sense of braggadocio and/or entitlement. Since the incident I have spotted and photographed two other sub-species. 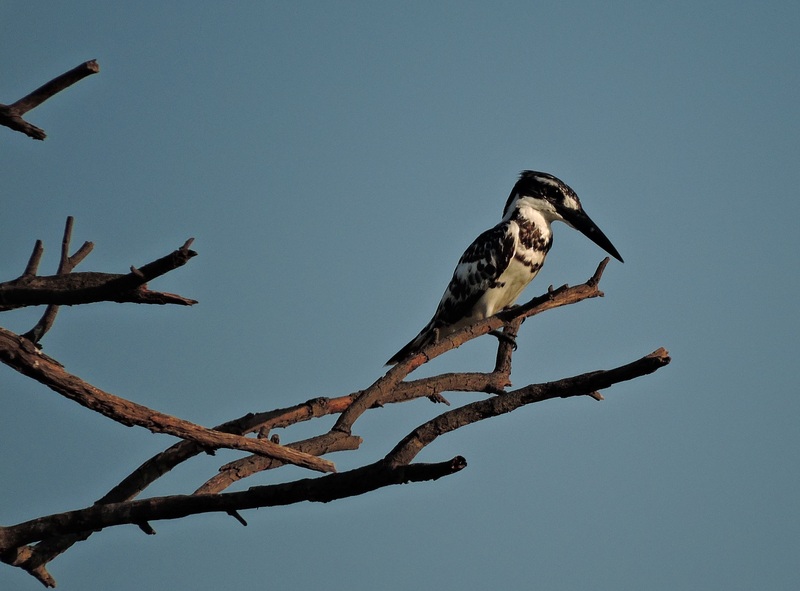 The Common or Small Blue Kingfisher and the Pied Kingfisher. The former looks like an adorable imp making a bold fashion statement. The latter is a tour de force when it comes to fishing for prey. She hovers over the water before vertically swooping in , beak-first, at breakneck speed. I can’t wait to see the Oriental Dwarf Kingfisher. She has been eluding me for a long time. When I do, I will tell you all about it. And we can talk about how beautiful and lively she is. 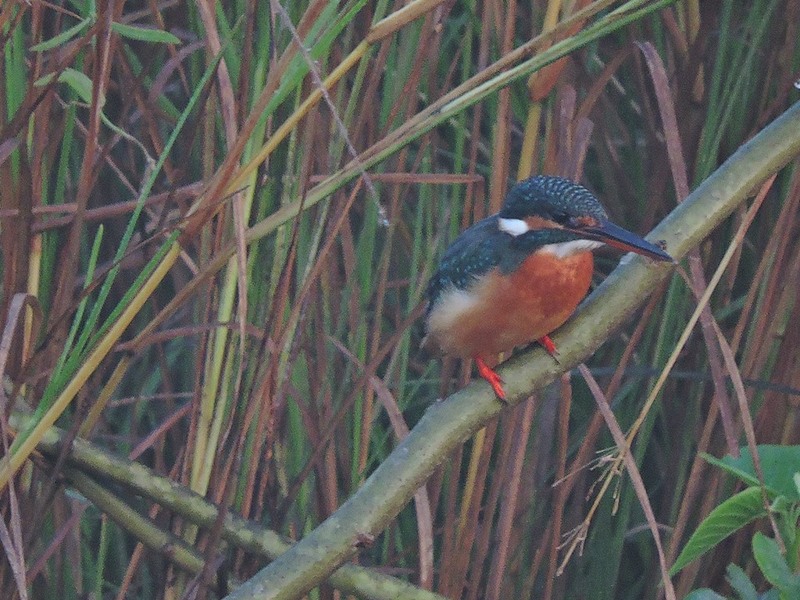 You can check out the other Kingfishers of the Indian subcontinent here. For now – let us raise a toast, a glass of cold fresh juice or perhaps a tumbler of hot lemon tea. Across borders and within. I love blue-eared kingfishers. I still maintain the belief we saw one in our trip to Coorg this winter despite the fact that all that was visible was a tiny dot on a stick at least two hundred metres away. IT WAS REAL. Oops… had a look at the post again; those are common kingfishers. Sorry! oh my blue-eared! surely they are imps in birdy costumes! Such exquisite birds! Great advice about forest reserves. There’s a reason they are protected from ignoramuses. (Clink.) And cheers to the wacky, showy, chatty top heavy little bird! And great shots all. Aren’t they! Such sounds they make too, like the bearer of news. Not good or bad but possibly life-changing! ALWAYS life-changing. Such chatter-boxes, I look forward to their news of the day every morning. The way I love words and book, it’s the way you love birds. I don’t perhaps completely comprehend your vision but I love it and I savour it in my own ways… You write beautifully and I can see that you are a romantic. Are you the bird? Or is she the one you love… 🙂 ? Thank you so much, bud. I am glad my humble words found a way to scissor through the skin! Romanticism heh yeah perhaps it’s the side-effect of birding. As for the bird, “it” assumes different people, genders and time-frames within the same verse. I fear lack of subtlety, hence it keeps drifting, dare I say – flying! Thank you for what you share. It’s all so beautiful!